lawyers at TNTL to pursue the best possible result for you and your family. Practicing Canadian Tax Law and helping taxpayers is not just our business: its our passion. than is necessary according to law. you can walk away with no charge. So give us a call - what do you have to lose? Our tax lawyers and other professionals bring years of specialized education and experience to your tax issue. law and accounting firms. Whatever your problem, we have the education and experience to help. Intuit Profile (T1, T2, T3, FX), TaxnetPro, TaxFind, Tax Templates, ProView, CaseWare, and more. We believe that the best and most efficient tax advice requires us to have access to the latest digital tools. Whether you are just starting your career, or thinking about selling your business and retirement, the Tax Lawyers at TNTL are here to assist you in getting the tax result that best meets your objectives. Tax law and estate planning go hand-in-hand. The largest tax bill a taxpayer will ever receive from the Canada Revenue Agency will be upon their death. When the Appeals Division of the CRA has improperly denied your objection, the next step is an appeal to the Tax Court of Canada. Only lawyers can act for taxpayers in a general procedure appeal to the Tax Court of Canada. Although tax audits and appeals can have a negative impact on taxpayers, nothing is as perilous as an investigation by the Canada Revenue Agency’s Criminal Investigations Division. Tax audits by the Canada Revenue Agency can be frustrating, stressful, and expensive. The CRA has significant legal and financial resources which it uses to its advantage. We can help level the playing field. After the Canada Revenue Agency has completed your audit, they will issue a Notice of Reassessment imposing additional income tax or GST/HST. The next step in disputing the additional tax imposed is to file a Notice of Objection with the Appeals Division of the CRA. 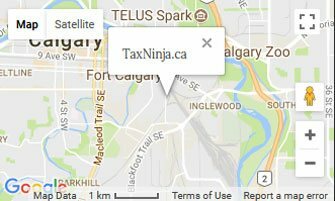 Tax Ninja | Tax Law (“TNTL”) has offices in Edmonton and Calgary. Tax lawyers at TNTL maintain membership with the Law Society of Alberta. 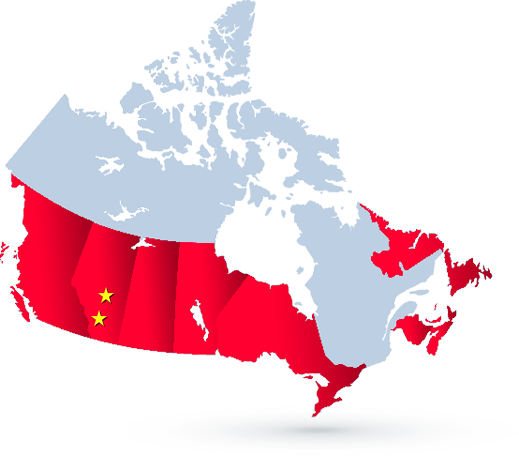 Any legal services provided in British Columbia, Saskatchewan, Manitoba, Ontario, Newfoundland & Labrador, New Brunswick, Nova Scotia, and Prince Edward Island are provided as a visiting lawyer pursuant to the National Mobility Agreement of the Federation of the Law Societies of Canada. 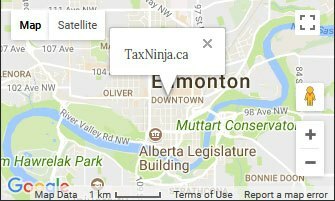 Tax lawyers at TNTL do not currently practice in the Yukon, Northwest Territories or Nunavut. However, contact us if you have a tax problem in the Territories as permits can be obtained which may allow TNTL to assist you with your tax issue. TNTL does not currently offer its services to the Province of Quebec. You have many choices in selecting your tax lawyer. Why should you consider our firm? Firstly, we have a “no engagement, no fee” new file review policy. This means we will assess your situation and provide our preliminary recommendations as well as a cost estimate or budget. If you are not satisfied with our recommendations or our cost estimate and choose not to retain our firm, there is no fee for this initial review. So please give us a call – what do you have to lose? Our tax lawyers and other professionals bring years of specialized education and experience to your tax issue. Our experience was earned over years working with some of Western Canada’s most respected tax law and accounting firms, as well as inside the Canada Revenue Agency. We hope you will take this opportunity to meet our team by clicking the link below. Chad was honest when he was dealing with me. He also showed that he has integrity, when he promised that he will contact me and he did. Chad was very helpful, kind and knowledgeable. For sure I will recommend to anyone that I know if they need tax lawyer. Chad was very helpful and giving of his time to deal with my concerns. If you are in need of a tax lawyer look no further. Chad was an absolute pleasure to deal with. He was polite and quick to respond despite my situation not justifying retaining a tax lawyer after all. I highly recommend this business. It is a shining example of what any professional institution should aspire to be like. Chad give me some really good advice. He's very easy to talk to and really understands the CRA. I'd definitely recommend him to friends and family. I have nothing but good things to say about Chad and his firm. He was professional, didn't waste any time, and is a genuinely kind person. Even phoning the office and talking to staff on the phone was a great experience. I left feeling so relieved. I would highly recommend Chad and his firm any day. Thank you so much for your help and generosity! It was greatly appreciated!